Even as a little girl windsurfing was my big passion, I couldn’t wait till I was old and strong enough to lift up the sail. In my diary I used to write that I wanted to become a professional windsurfer when I was older. Both my parents were keen windsurfers (and still are) and they took me windsurfing every summer holiday. I finished my high school at the highest level (VWO) and also obtained my blackbelt in Jiu Jitsu. After high school I went to University in Amsterdam. Living closer to the sea, I was spending even more time on the water while I studied Communication, Business and Management. As a side job I decided to become a windsurf instructor and I was working with troubled children and disabled people. In 2008 I decided to take a break from University and I made a windsurftrip to Jericoacoara in Brazil. This was my first experience with freestyle windsurfing and when I saw people doing all those trips I fell in love with it straight away; I wanted to learn this too. I made very quick progression, the combination of windsurfing since I was little and all those years of doing gymnaties probably helped me a lot. But it was not just the freestyle windsurfing that changed my life in Brazil. The whole lifestyle that comes along with windsurfing. Being on the water every day, windsurfing for hours and going tired but satisfied to bed every day. The sun on my face, being one with nature and completely lose yourself on the water. I finished my Bachelor degree and decided to focus on windsurfing. I did my first competitions, gained my first sponsors and in 2010 I made my debut on the World Tour. My first competition I finished last place, but this gave me motivation to train even harder and just one year later I managed to finish in 5th place. From that year on, Arrianne travelled the globe in search of the right training conditions to train for the upcoming competitions. In 2012 I managed to get on podium for the first time, and in 2013 I became Vice World Champion. I also competed in the first held indoor PWA event in more than eight years. This indoor event took place in the national stadion of Warsaw and saw more than 30.000 spectators. I competed in all three disciplines – freestyle / slalom / jump – and as the only competitor I managed to get on the podium in all three disciplines with a 2nd place in freestyle and a 3rd in slalom and jump. 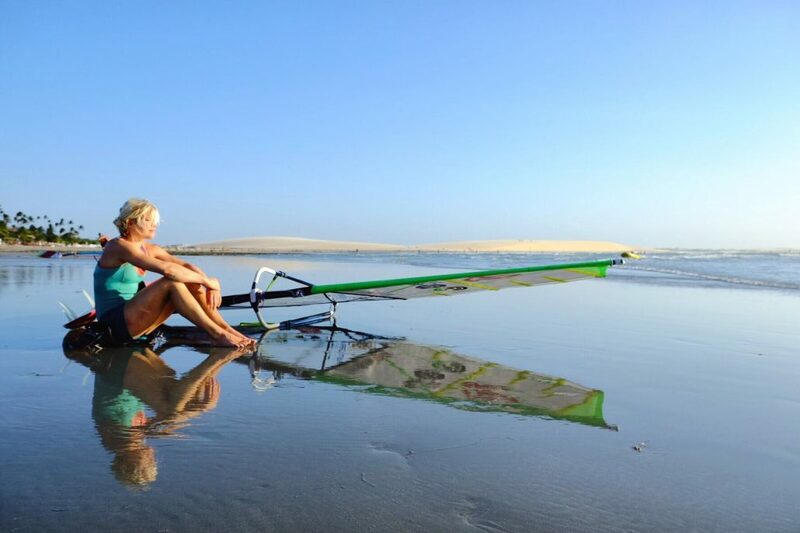 My passion for windsurfing is bigger than just competing. With competition I want to stay in the top of freestyle, and in waves I want to sail in the top five of the discipline. For me windsurfing is not just a sport. It’s a lifestyle, but also a way to find yourself and to face your fears, your challenges and to step out of your comfort zone. Besides competition I also organise windsurf clinics. And I decided to combine my love for yoga and windsurfing into Yoga & Windsurfing clinics. Besides the love of windsurfing, I also loves nature and the ocean. A CLEAN ocean, and a HEALTHY earth. That’s why I am a very proud ambassador for Pure Energie, a Dutch green energy company. In my role as a windsurfer and ambassador I hope to create more awareness for sustainability, clean oceans and green energy. I am also an ambassador for Vinea Holidays, a Dutch company who organises windsurf camps for kids, and it gives me so much positive energy to stimulate kids to be in nature and to create a passion for windsurfing.